Route 66 holds a romantic place in American culture, and Litchfield has always been a big part of that culture. 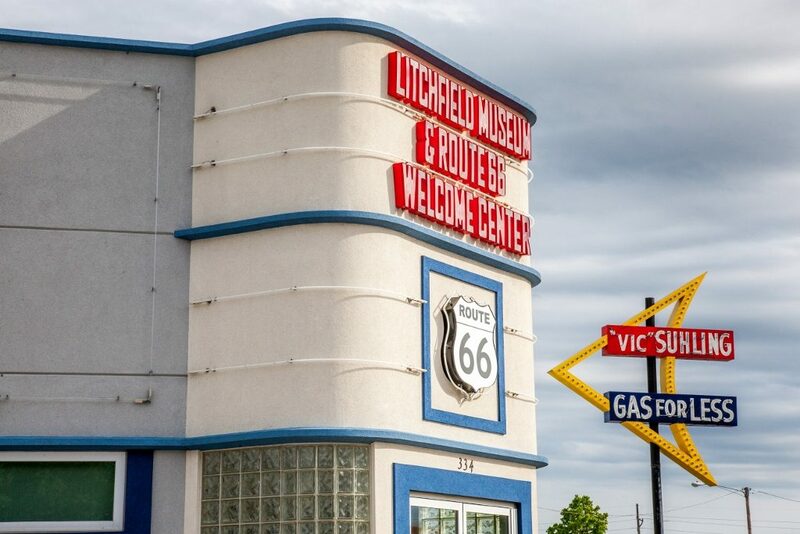 Now visitors can stop, learn more about our community and experience our special place in Route 66 history when visiting the Litchfield Museum & Route 66 Welcome Center. Exhibits focus on the important role that Route 66, railroads, businesses, agriculture and the military have played in Litchfield’s history. The Museum features a large display area with items ranging from period automobiles to small tokens that represent historical significance to the area. Outside the Museum, visitors can see the iconic neon Vic Suhling Gas Station sign, which shines in all of it’s glory after the sun goes down.